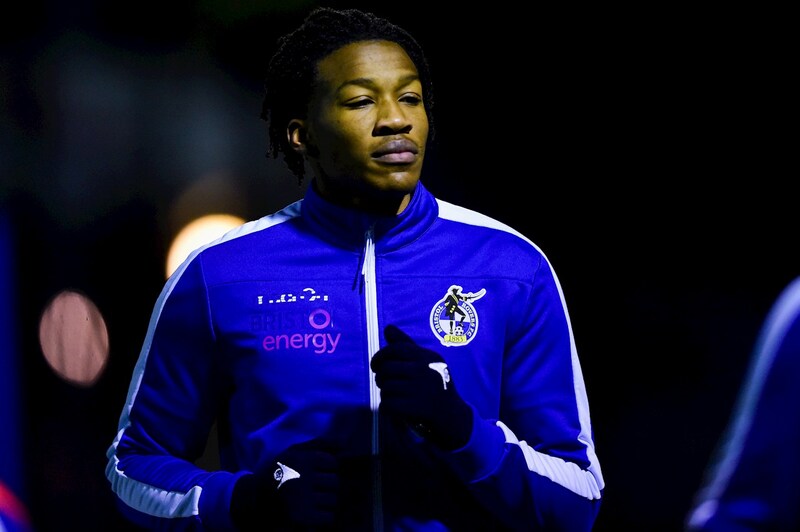 Rovers produced a great display at the Mem on Tuesday evening, but were dealt a cruel blow when Peterborough’s Joe Ward thundered home a 30-yard equaliser in the 90th minute. Graham Coughlan’s side made a really positive start to the match, as they applied pressure to the Posh’s defence from the off, with Nichols trying his luck and Sercombe seeing a dipping volley go just over the bar. Rovers’ strong, early showing thankfully paid dividends with just eight minutes on the clock. 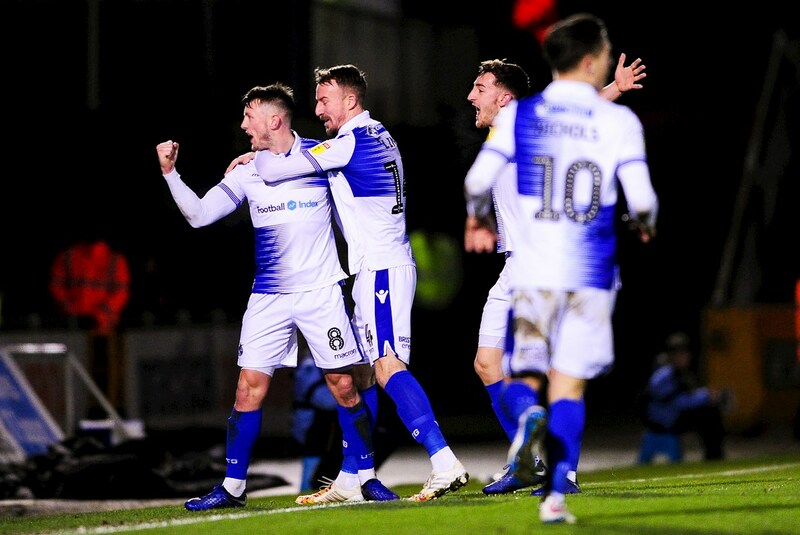 The visitors were gently trying to grow into the game and did enjoy a bit more possession in Rovers half – there was a heart in mouth moment when Lee Tomlin’s miss-hit cross flew just marginally past Jack Bonham’s post. Rovers were probably playing some of the best football at the Mem so far this season, and caused continual problems for Peterborough’s backline with their link up and movement; typified with a lovely give and go between Rodman and Lines down the right that saw the former surge into the box, he had cut back options but perhaps a bit selfishly went for goal and could only find the side netting. Ex-Bristol City Tomlin disguised a cute pass on the edge of the area through Toney, Bonham got out well to challenge at the forward’s feet but the luck belonged to the Peterborough man as the ball fell kindly for him before he stroked it home into an empty net – huge protests of offside were ignored by the officials. 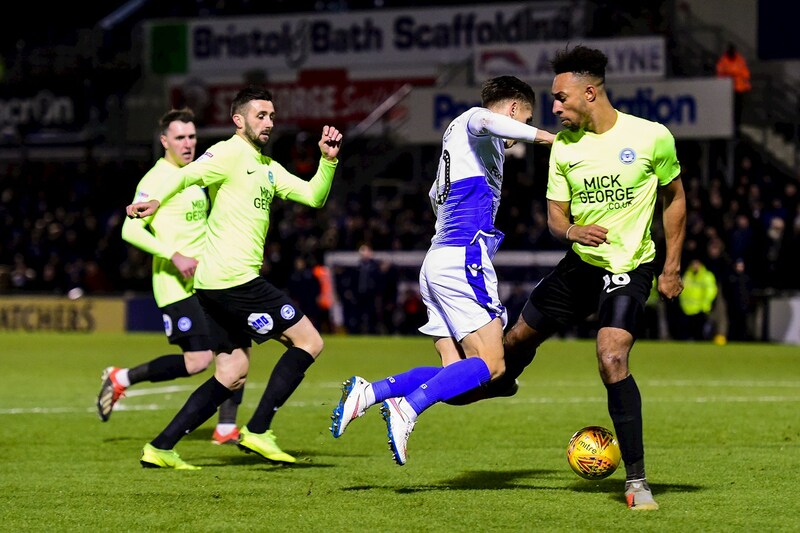 After a bit of a mix up from Peterborough’s defence forced by good pressure from Reilly, the ball popped out to O.Clarke about 25-yards out, he noticed the keeper off his line and calmly lifted the ball over him and into the back of the net to claim his sixth goal of the season. 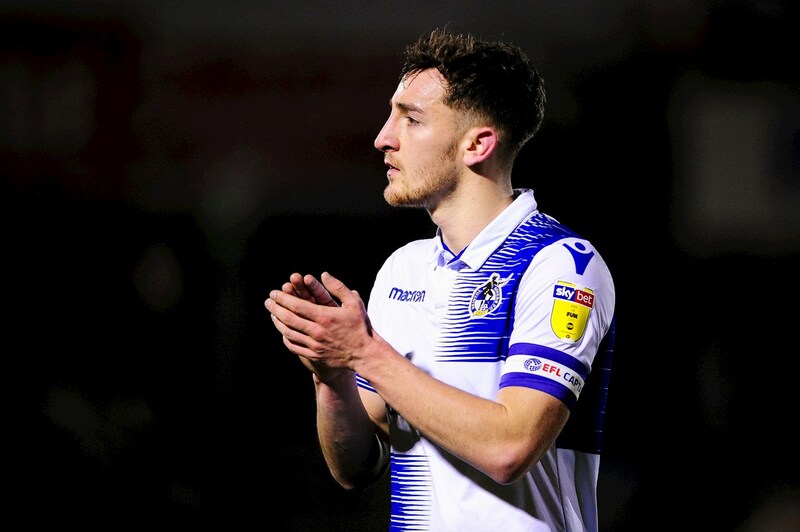 A second substitution came on the 84th minute, as James Clarke came on in place of Reilly to sure things up at the back – fair play to the Scotsman who had ran his socks off all evening. Rovers looked to have done enough to claim all three points, until Ward stepped off the bench to arrow home a 30-yard screamer in the 90th minute as Coughlan’s men were dealt a real sucker punch. Rovers XI: Jack Bonham (GK), Joe Partington, Tom Lockyer (c), Tony Craig, Tareiq Holmes-Dennis, Ollie Clarke, Chris Lines, Liam Sercombe, Alex Rodman, Tom Nichols (Alex Jakubiak, 70′), Gavin Reilly (James Clarke, 84′). 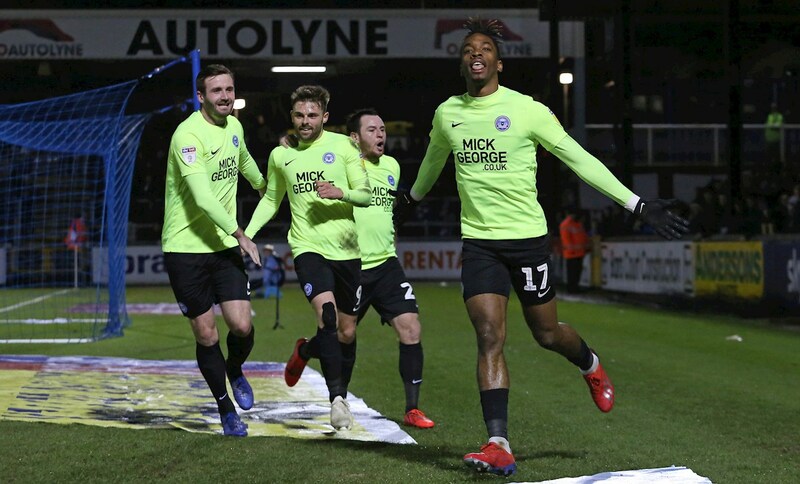 Peterborough United: Conor O’Malley, Jason Naismith, Alex Woodyard (C), Ben White, Matt Godden (Siriki Dembele, 74′), Callum Cooke, Rhys Bennett, Ivan Toney, Danny Lafferty, Lee Tomlin (Marcus Maddison 65′), Kyle Dempsey (Joe Ward 65′).